Strategically located very close to Shanghai World Financial Trade Center, the H Hotel LuJiaZui Shanghai allows an easy and quick access by transportations to all city's areas of business or shopping interest and is only a few minutes drive from the Shanghai New International Expo Centre,The Bund and Time Square Center. 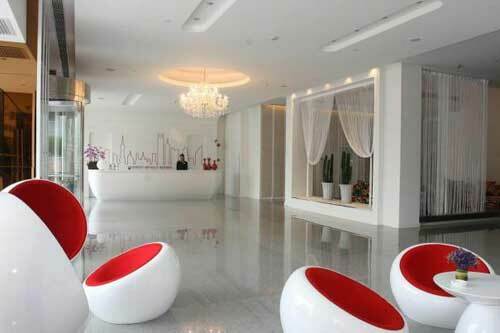 The H Hotel is a design boutique hotel brand part of the “Hong yi” Group. 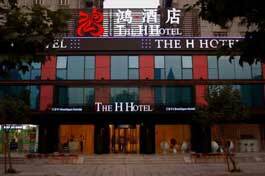 The H Hotel there strives for excellence and aims to pleasure. all are well-furnished and comfortable, featured with LCD TV with international satellite channels,Free broadband Access and wireless throughout hotel area. The hotel discovers the art of living that successfully combines exacting standards with a charming modern touch. By use of the professional service knowledge, combined with a positive attitude and innovative spirit. Studio SpecialRoomA 25 458 3206 Ask us 1 Day Book now! Studio SpecialRoomB 25 368 2576 Ask us 1 Day Book now! Studio BusinessQueenRoomA 28 588 4116 Ask us 1 Day Book now! 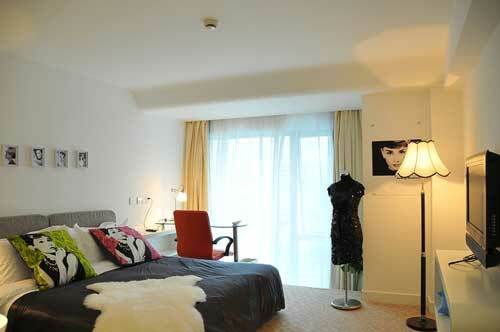 Studio BusinessQueenRoomB 28 478 3346 Ask us 1 Day Book now! Studio ThemeRoomA 28 588 4116 Ask us 1 Day Book now! Studio ThemeRoomB 28 478 3346 Ask us 1 Day Book now! Studio SuperioeRoomA 30 708 4956 Ask us 1 Day Book now! Studio SuperioeRoomB 30 578 4046 Ask us 1 Day Book now! Studio DeluxeQueenRoomA 35 758 5306 Ask us 1 Day Book now! Studio DeluxeQueenRoomB 35 638 4466 Ask us 1 Day Book now! 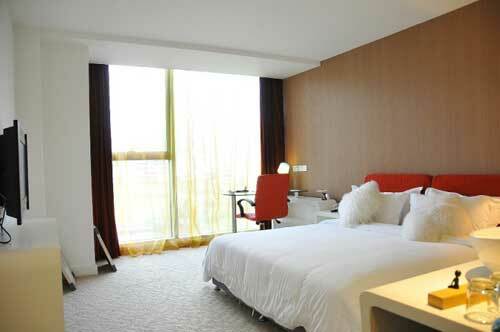 1Bedroom DeluxeKingSuiteA 60 858 6006 Ask us 1 Day Book now! 1Bedroom DeluxeKingSuiteB 60 808 5656 Ask us 1 Day Book now! - Extra breakfast: RMB 38 per pax. 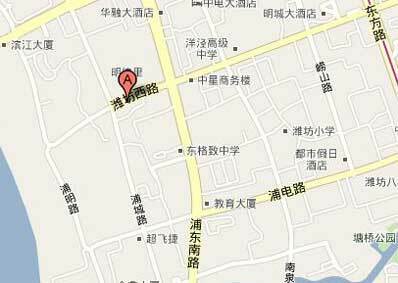 - Extra bed: RMB 200/bed/night. - A rates are valid from 8 March to 31 May, 1-31 July & from 1 September to 30 November 2011. - B rates are valid for 1-30 June, 1-31 August & 1-31 December 2011. - Rates include service charge, government tax, and one breakfast.